The concept of credit cards has not caught on a lot in Italy. So you will find that not many establishments will accept a credit card and you will be forced to fork out cash. Carry enough euro currency. Carry GBP 500 per person even though you might have paid for all travel and hotels online. 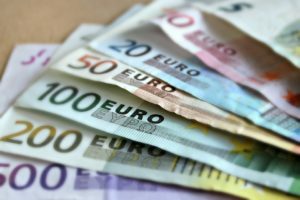 If any euros are left over, you can always use them on your next trip in Europe. In case you are short of cash in Italy, you can always exchange pounds at the Post Office where you will get the best exchange rates. Do not exchange your pounds at the Travelex desks at stations or airport. They charge an exorbitant tax which effectively reduces your exchange rate. Another thing to note is that In Italy, the comma replaces the dot and vice versa. So you might wonder why a burger is costing you? 3,50 when it costs you only £2.99 back in the UK !!! I have stuck to the English style for depicting currency figures in this travelogue. So don’t get confused.